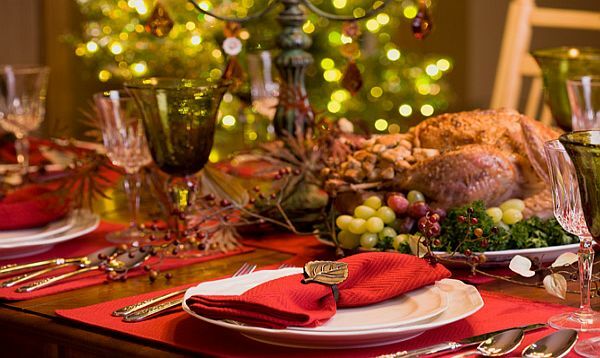 If this is perhaps the first time you are faced with making Christmas dinner for you and your family, I understand perfectly that it can seem very overwhelming. 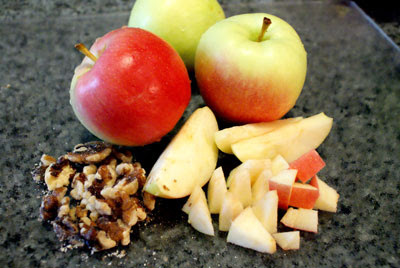 Creating a dinner like the one above from banderasnews.com can seem beyond your capabilities, but believe me it isn't. Yes, it will be more work than my 30 minute or less meals, but this is a Special Occasion. And - like everything else in life - if you take it one step at a time you will be surprised just how doable it really is. First thing you need to think about is the turkey. 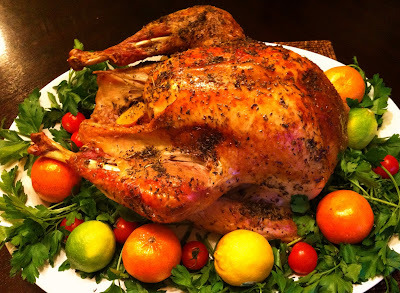 My recipe for roast turkey will walk you through all the steps of cooking the juiciest turkey possible, including how to decide your cooking time depending on the size of your turkey. Choose what stuffing you want to use. I give you three different options - Sage and Onion, Chestnut and Sausage, and Apple and Walnut. 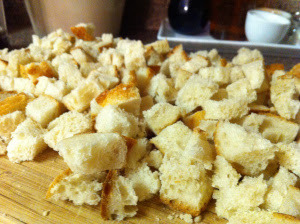 I even show you how to make Paleo breadcrumbs for your stuffing using my Paleo bread recipe. And you can make gravy using the easy deglazing method I explain here. Now all you need are the sides. You can make a low sugar or sugar-free version of cranberry sauce, which is the traditional accompaniment to turkey very quickly and easily. Make this ahead of time and keep it in your fridge, then you will have one less thing to worry about. For vegetables I usually serve creamy mashed cauliflower with a cheese topping, brussels sprouts, and honeyed carrots. (Boil carrot slices until soft, drain, then toss with butter and honey.) 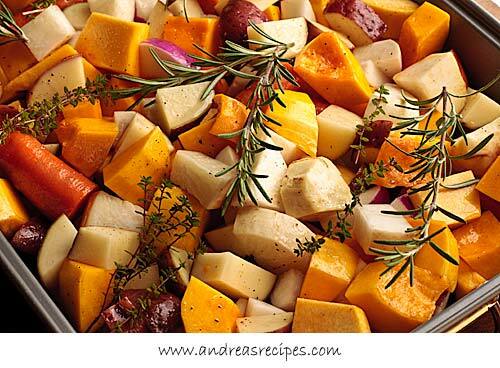 Or you can make a pan of roasted root vegetables and cook these right alongside your turkey to make it even easier. 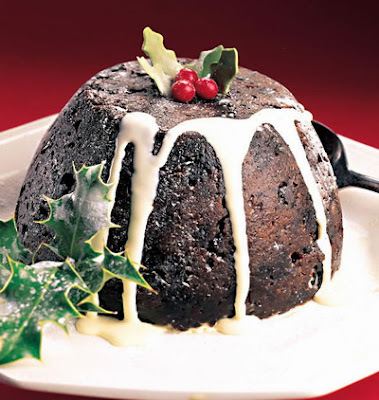 For dessert you can make my quick microwave version of Christmas Pudding or any other of the simple dessert recipes you will find under the RECIPES tab above. ( 1 ) Plan and Shop - Choose your recipes, then check each one and make a shopping list of what you need. (Don't forget to add a centrepiece and Christmas napkins and crackers for your table if you need them. Also wine if you serve it.) If you have to shop just before Christmas, try to go first thing in the morning before the stores get busy. ( 2 ) Cook Ahead - Make everything you can ahead of time. 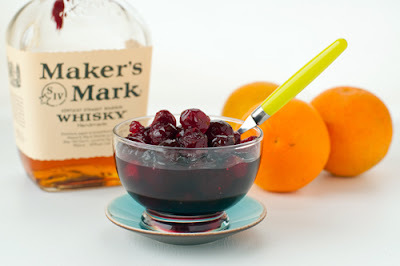 Make the cranberry sauce. Make your dessert. Prepare your stuffing. (If possible, delegate some of these items to others to make.) Then work out what time you will need to put in the turkey. (I give you instructions in the turkey recipe.) If you are using a frozen turkey, allow enough time for it to defrost. The day before peel your vegetables and put them into cold water. Keep in your fridge or a cool room. ( 3 ) On Christmas day, deal with your turkey first. Once that's cooking, set the table and finish cooking your sides. Take advantage of anyone who offers to help and delegate, delegate, delegate! Then make sure you take a break to put up your feet and enjoy your friends and family! 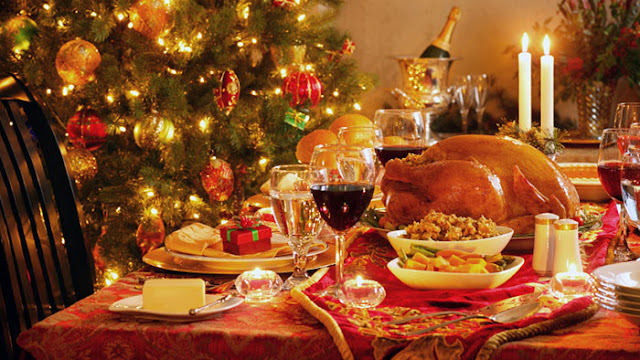 If you want an easy reference for all my Christmas recipes, check out my Christmas Collection. There are three books in my Collection and together they will give you all the recipes you will need to have a great holiday season.